Eaaflyway > Partnership News > All News > 2019 International Black-faced Spoonbill Census Results showed new high number! The census took place on 25th – 27th January 2019. Over 100 sites were surveyed for the wintering Black-faced Spoonbills (BFS). The census teams recorded a total of 4,463 individuals in this period, a new high figure of this species and finally a breakthrough to four thousand birds. This new high figure sees an increase of 13% from 3,941 individuals recorded in the past two previous years. This is a milestone for this species and the conservation activities of this spoonbill too. Total: 4,463 (3,941 in 2018 and 2017, +13.5%). 1) Taiwan remains the largest stronghold of wintering BFS in the world. Its number rose again after a sharp decline from the previous year. 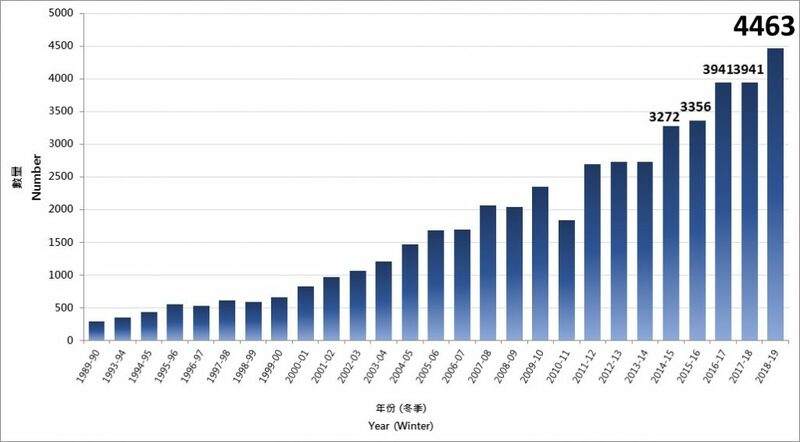 2) The number of wintering BFS in mainland China show to have a large increase (33%) again in this census. A total of 990 BFS recorded in mainland China is a new high figure too. 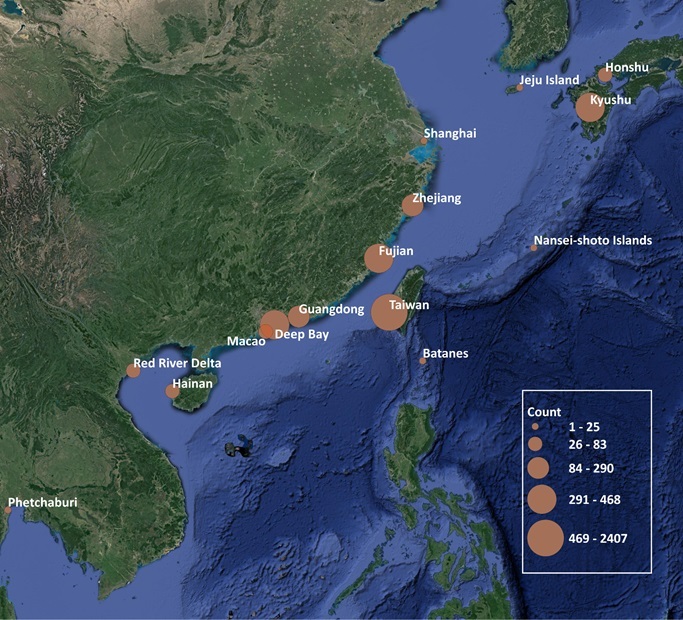 Several large flocks were recorded in different places in particular of Fujian (including 70 in Luoyuan Bay, 166 in Xinhua Bay, 87 in Putian, 65 in Zhangpu), and also in Zhejiang (89 in Wenzhou, 91 in Taizhou), Guangdong (185 in Haifeng) and Hainan (total 102 in Hainan). 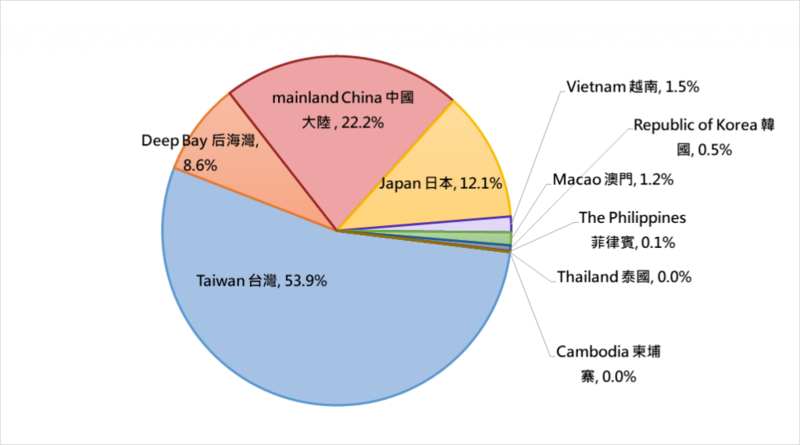 3) Numbers in Taiwan, mainland China, Deep Bay (HK and Shenzhen), Japan and Macau are increasing from that of the previous year, while a decrease is only noted from Korea and no change in Vietnam and the Philippines. 4) An increase of wintering Black-faced Spoonbills in the Deep Bay is an encouraging sign as this figure has shown some declines in recent years. 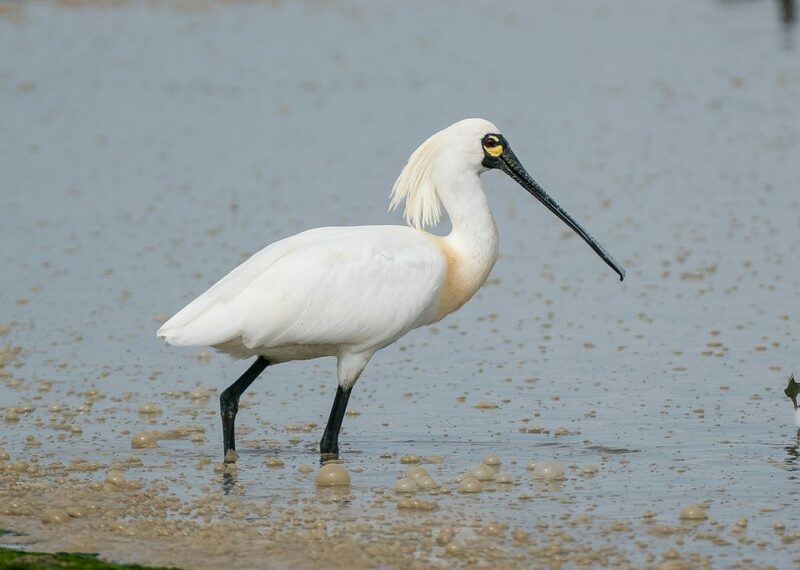 Note: The total number of the Black-faced Spoonbill can be even higher because an additional 16 birds were recorded in 1 or 2 days outside the census period. In order to maintain synchronous survey manner, these birds are not included in the total number of the census. Press release in English; and Chinese.